2019 St. Joseph Regional (N.J.) defensive end commit Howard Cross III‍ capped off his senior season with a 13-0 State Championship win over No. 1 Bergen Catholic on November 24th. Entering the game, Bergen Catholic hadn’t been shutout in three decades. Cross recorded two sacks in the game. On Thursday Cross put a stamp on his prep career as the four-star prospect was named the New Jersey Gatorade Player of the Year. Cross recorded 76 tackles, 22.0 tackles for loss, 9.5 sacks and recovered two fumbles in his final year suiting up for the Green Knights. 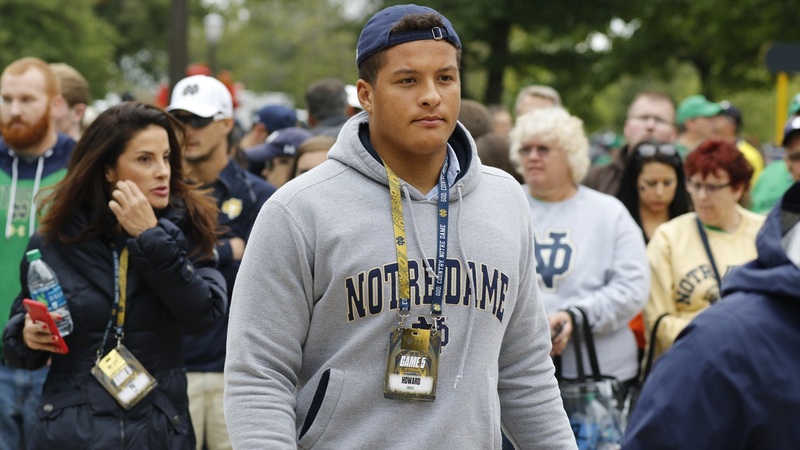 The 6-foot-2, 265-pounder will arrive at Notre Dame in June.